Today is the first day of giveawaya for the Back to School party and we’re starting with a grand prize. Woo Hoo. I’m so excited to be apart of this with the 7 other bloggers. We’re going to keep you all blog hopping to get some really great entries. Ufadili Item, Founded on the ideal of conscious consumerism, Ufadili products are made by a sweatshop-free and fair trade manufacture, the packaging is made out of 100% recycled or biodegradable products and 30% of the profits are given back to charity. Find cute infant, children’s and adult apparel. Happy Green Bee GC ($35) (organic clothing), Happy Green Bee offers stylish, unique and distinctive organic cotton children’s clothing. This company offers not only organic children’s clothing, but they also practice sustainable agriculture and earth friendly manufacturing. Just Jen Tee,The winner will be able to choose one long sleeved tee, short sleeved tee, or tank top from the Just Jen’s line for girls. (1) Rolling Backpack or Rolling Suitcase from Stephen Joseph Gifts, Available in a number of whimsical designs, you can chose a Rolling Backpack or Rolling Luggage. Designed with your kid’s size in mind, the Rolling Luggage will carry travel necessities while looking cute and has an extendable handle and multiple pockets. The Rolling Backpack is waterproof and small enough for your little one to pull but big enough to hold for preschool needs. two 4pks of Twist ‘n Write No. 2 pencils. Each pack contains four different colors. This fun, reversible pinafore dress has a criss-cross back to easily slip over the child’s head. Flip it inside out and you have a whole new fresh look. Ideal for back to school, the Waterproof Label and Bag Tag Combination Pack ensures all your belongings find their way home. Available in multiple fresh, modern and adorable designs, the set includes 20 full-size vinyl sippy cup labels, 66 mini waterproof labels and 2 bag tags. 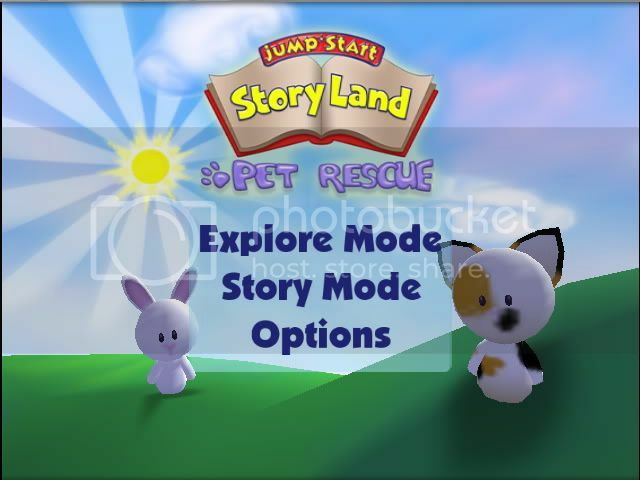 The winner will receive a free 3 month membership to experience the latest addition to the JumpStart World . . . MarineLand where your child will be able to venture into MarineLand, an underwater labyrinth full of new games, new friends, and exciting places to explore! Jumpeez can scuba dive in a kelp forest, look for treasure in an abandoned shipwreck, explore ancient underwater ruins and finally meet and befriend mermaids in their mermaid city! Kids can also participate in an underwater fashion show, venture out on missions to help the locals, express their creativity with ocean-themed paintings and drawings and, most importantly, build up valuable math, reading and grammar skills! By solving learning puzzles around the world, kids learn everything from basic algebra, fractions, measurement and telling time to phonics, sentence structure and synonyms and antonyms. For children in kindergarten through second grade. 2) tweet about this giveaway as often as you wish and receive an entry for every one. This form for this particular giveaway is listed on all 8 blogs with a form saying “entries must be posted here.” Does that mean one person could enter one giveaway on any of the 8 blogs, get 5 entries and post it to all 8 entry forms on the 8 separate blogs for a total of 40 entries for entering one contest? This is a little confusing – shouldn’t there only be one entry form on only one of the blogs? I’m a little okay a lot confused on what I do to enter as well. Please help your little lost readers 🙂 We so want to enter for these wonderful prizes! then it shows the entry form. I just left a comment on the entry because there was not any contest question or requirement to enter. i am actually a bit confused as well…do ijust fill out the form? for those of you who are posting they are confused on this just enter any of the other get cool giveawaways ( on all or any of the 8 blogs) running outta time though then come back here and each of the other blogs and enter five times for each one you entered ! you can get tons of entries this way ! takes time but its worth it ! What a GREAT giveaway!!! Love everything! What a great giveaway!! I Love it! !